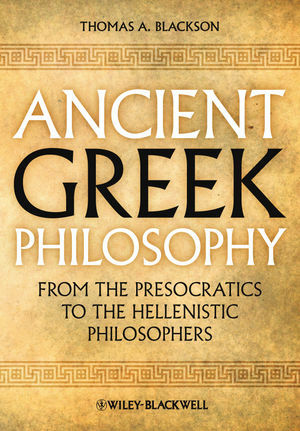 Ancient Greek Philosophy: From the Presocratics to the Hellenistic Philosophers presents a comprehensive introduction to the philosophers and philosophical traditions that developed in ancient Greece from 585 BC to 529 AD. Thomas A. Blackson is a member of the Philosophy Faculty in the School of Historical, Philosophical, and Religious Studies at Arizona State University. 1.1. The Milesians Turn to Nature. 1.3. A Defense of the Inquiry into Nature. Further Reading for Part I. 2.2. The Love of Wisdom. 3.1. The Sophists Come to Athens. 3.2. 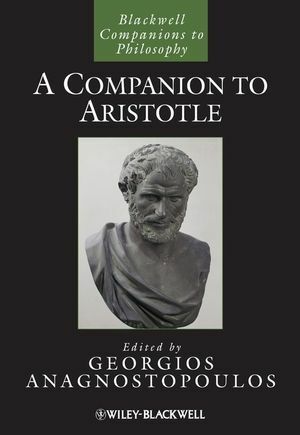 The Sophist Sells Teachings for the Soul. 3.3. Rhetoric is Blind to the Good. Further Reading for Part II. 4.1. The Theory of Recollection. 4.2. The Theory of Forms. 4.2. The Tripartite Theory of the Soul. 5. Justice and its Reward. 5.3. The Just Life is Better . ..
Further Reading for Part III. 6.1. Natural Bodies and their Specific Behaviors. 7.1. The Soul is the Form of the Body. 7.3. Becoming like the Unmovable First Mover. 8.1. The Science of Being. 8.3. No Universal is a Substance. Further Reading for Part IV. 10. Reaction to the Classical Tradition. Further Reading for Part V.